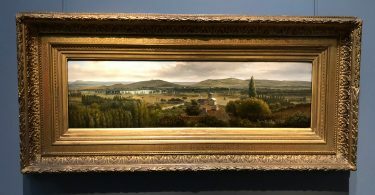 One of the best stops we made in Washington, DC was the Church of Jesus Christ of Latter Day Saints temple visitor center. Surprisingly, the visitor center was open 7 days a week from 10 am to 9 pm. 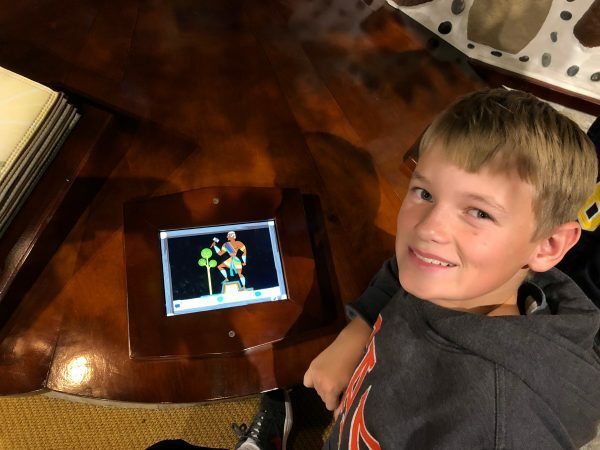 Though the temple was closed for renovation during our visit in 2018, we enjoyed our time in the visitor center. The temple was under heavy construction when we visited, but they left the lights on for the pilots. 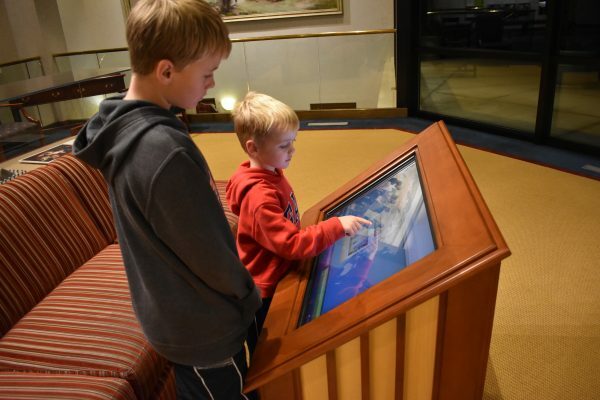 There are a lot interactive displays for the kids at the visitor center. Our boys enjoyed watching short videos, coloring pictures on iPads, working on their family tree, and exploring other kiosks, maps, and areas. There is a large home with display boards touting the importance of the family built right into the wall. The visitor center also has a wide deck, which is perfect for taking pictures in front of the temple. 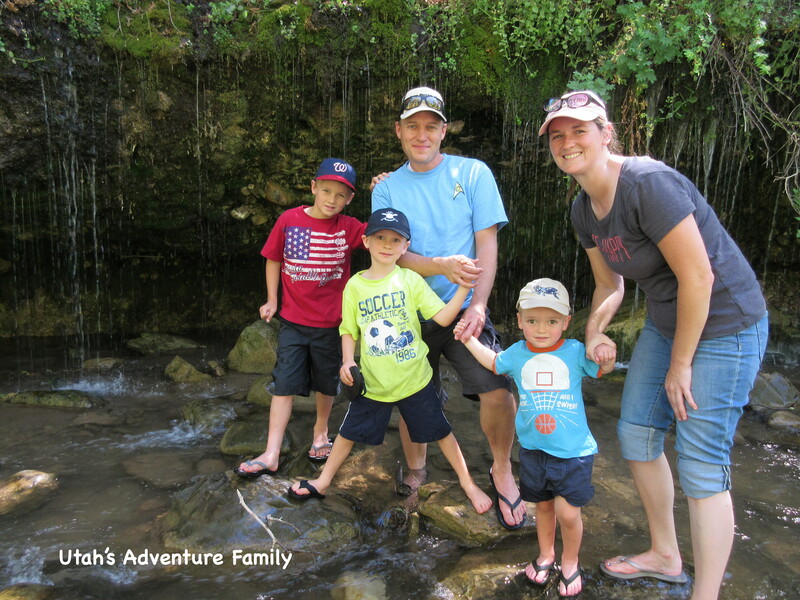 There are tons of interactive displays to keep kids happy. This area was built to look like an Old Nephite wall. 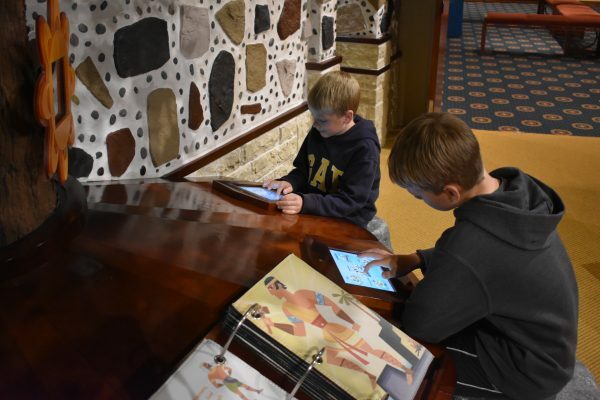 Our boys played games and colored on the iPads while we explored the visitor center displays. One thing we enjoyed at the visitor center is a cut away model of the temple. Since the model had one side cut away we could easily see what the layout of the temple is like and how each room is arranged. 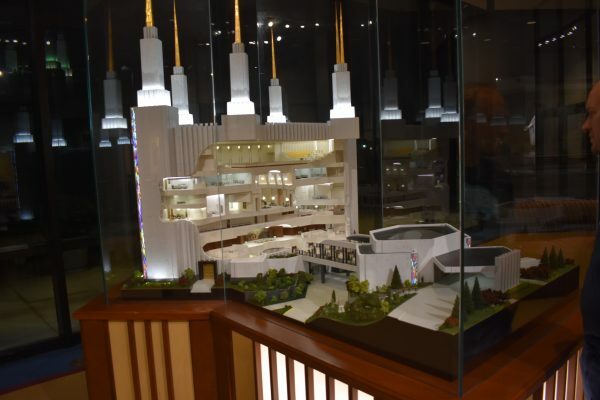 The DC Temple happens to be huge with a large upper room that is not open to visitors, but we got an idea for just how big it is by looking at the model. 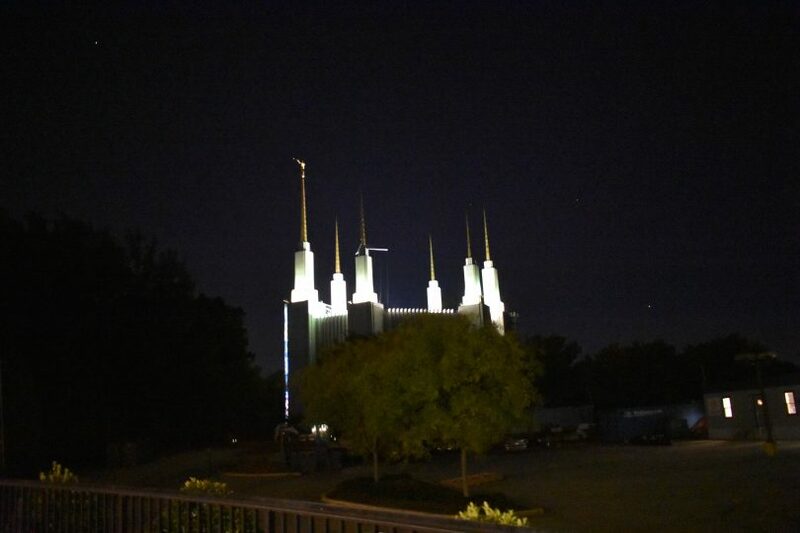 In fact, the Washington, DC Temple is the third largest by area and the tallest LDS temple in the world. We loved this model to show how large the temple is inside. 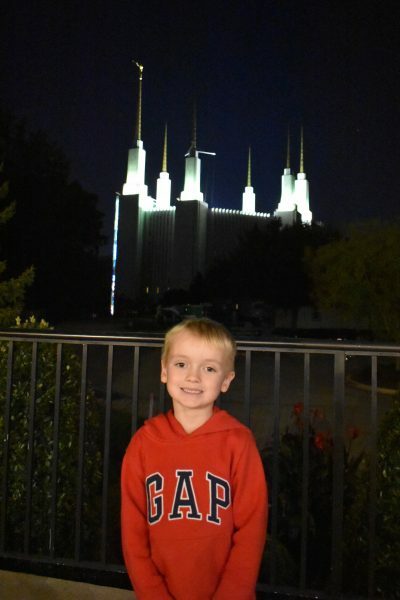 If you are visiting the DC area, the temple is just outside of town in Maryland. It is worth the trip to see this beautiful edifice, which, when lit, dominates the skyline. So add the Washington DC Temple Visitor Center to your itinerary.